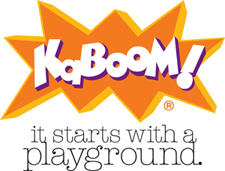 Children's Claritin, the #1 pediatrician recommended non-drowsy allergy brand, is teaming up with the national nonprofit KaBOOM! to help bring innovative playspaces to schools in need. Together Children's Claritin and KaBOOM! are helping bring play to kids in need by offering 12 national schools the chance to win Imagination Playground™ equipment. Imagination Playground™ is a collection of specially-designed oversized foam blocks that promote creativity, communication and collaboration in play. By interconnecting the components, children are able to build and rebuild their play spaces with each visit fostering creativity and critical-thinking skills. nonprot KaBOOM! to help bring innovative playspaces to schools in need.